The countdown clock for the Seamaster 2018 ITTF World Tour Grand Finals continues to tick away with proceedings in the Korean city of Incheon set to get commence on Thursday 13th December and in part two of our “Meet the Qualifiers” series we cast our attention to the players seeded 16th to 11th in the Men’s Singles category. Two times Men’s World Cup champion, a winner of 19 Men’s Singles titles on the ITTF World Tour and the first German to reach the lofty heights of World no.1, Timo Boll is one of the sport’s all-time Greats. In February of this year Boll won the Europe Top 16 competition for the sixth occasion and collected a record seventh European Championships Men’s Singles trophy in September. Gold medallist in 2005 when the Grand Finals were hosted in Fuzhou, Boll has qualified for the 2018 event by a mere 14 World Tour standings points and heads to Incheon as no.16 seed. Opening his campaign with a disappointing Round of 16 exit to Brazil’s Hugo Calderano in Doha, however, Boll secured top eight finishes in both Bremen and Linz along with a semi-finals spot in Kitakyushu. Boll is only one of two players from Europe to have won the Men’s Singles title at the Grand Finals with Belarusian legend Vladimir Samsonov the only other European to have achieved the feat back in 1997! Once considered as one of Japan’s most exciting young talents with gold medal wins at the 2010 Youth Olympic Games and the 2011 World Junior Championships, Koki Niwa has emerged as one of the world’s most dangerous players at senior level. Niwa played an influential part in Japan’s runner-up finishes at the 2016 World Team Championships and 2016 Olympic Games and reached the last four of the 2017 Asian Championships Men’s Singles event. 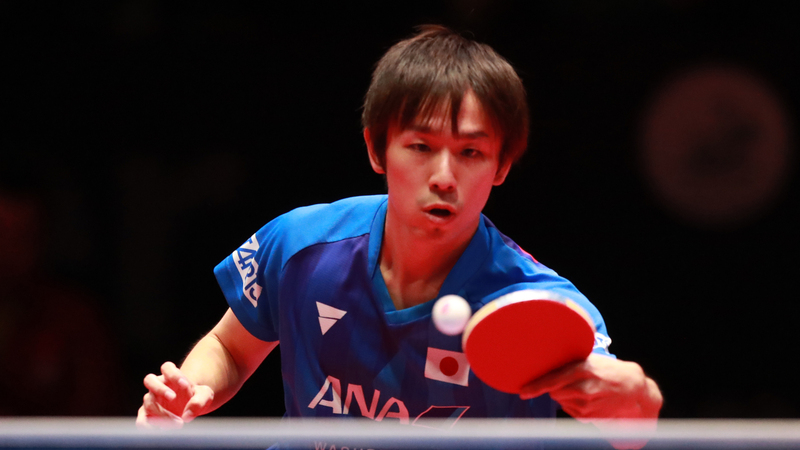 A regular fixture on the 2018 ITTF World Tour Niwa’s strongest outings came in Shenzhen, Panagyurishte and most recently in Linz, moving through to the quarter-finals stage at all three tournaments. Niwa was also present at the World Tour events in Doha, Bremen, Kitakyushu, Daejeon, Geelong and Olomouc. At just 24 years of age, Koki Niwa is set to appear at the Grand Finals for an impressive eighth time! Set to make his Grand Finals debut, Liu Dingshuo occupies the no.14 spot on the seeding list for Incheon. 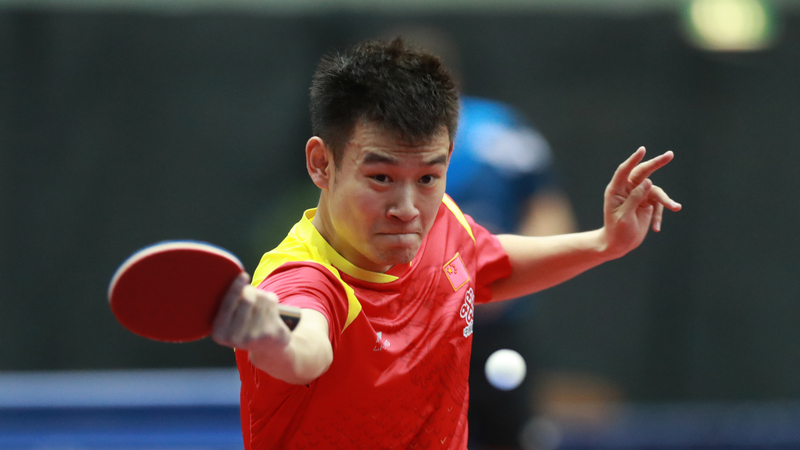 The right-handed attacker from China has one World Tour Men’s Singles title to his name following a successful outing at the 2014 ITTF World Tour Brazil Open in Santos. Impressive at the opening World Tour event of the year in Budapest where he earned a semi-finals finish but Liu’s standout moment of 2018 surely came in Geelong, claiming victories over the likes of Jun Mizutani and Yuya Oshima on his way a silver medal. Regarded as one of the finest pen-hold players on the planet, Wong Chun Ting has the potential to cause even the strongest of athletes problems and could well be a force to be reckoned with on what will be his fifth Grand Finals appearance, having reached the quarter-finals of the event in 2016 and 2017. The player from Hong Kong made a decent start to the 2018 season, reaching the last eight in Doha before achieving his personal best performance of the year in Bremen where he beat Jeong Sangeun, Lee Sangsu and Mattias Falck on his way to a spot in the semi-finals. Wong guided Hong Kong to its first-ever Men’s World Cup medal, bringing home a bronze from the 2016 edition of the tournament held in Saarbrücken! 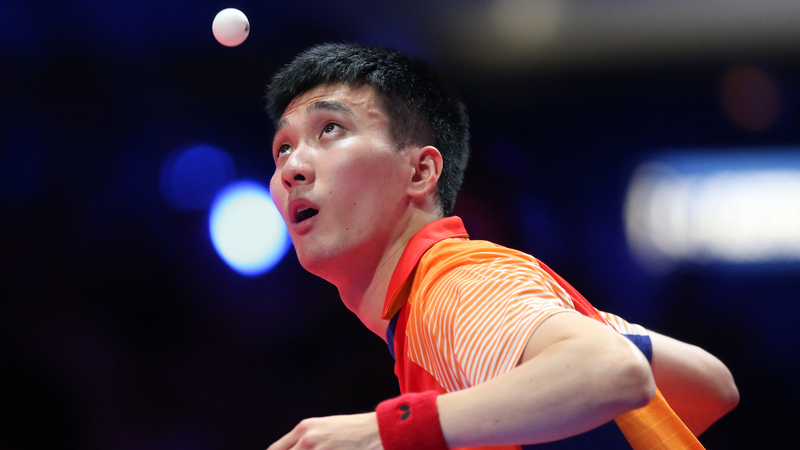 Enjoying one of the best season’s of his career to date Lee Sangsu captured the bronze medal at the ITTF Asian Cup for the second year in a row, helped Korea Republic to third position finishes at the 2018 Team World Cup and Liebherr 2018 World Team Championships and has featured in the top 10 of the men’s rankings list for nine consecutive months. Quarter-finalist in Hong Kong, Shenzhen and on home soil in Daejeon and Lee also came close to a shot at Men’s Singles glory in Kitakyushu, pulling off a dramatic comeback win against Chuang Chih-Yuan in the last eight before exiting at the semi-finals stage to the eventual winner of the tournament Tomokazu Harimoto across six games. 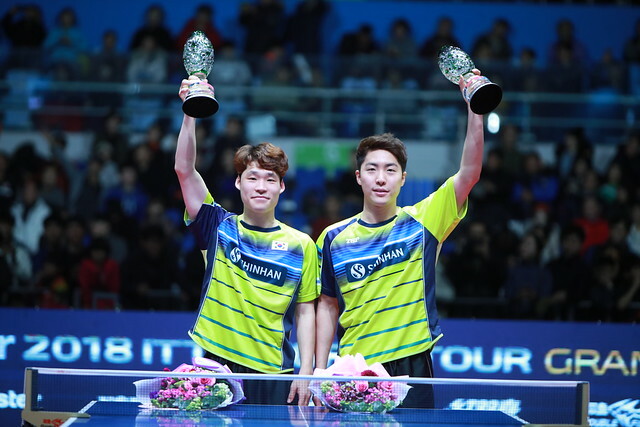 Lee Sangsu actually has a World Tour Grand Finals gold medal to his name, having partnered Jeoung Youngsik to Men’s Doubles success in 2016! 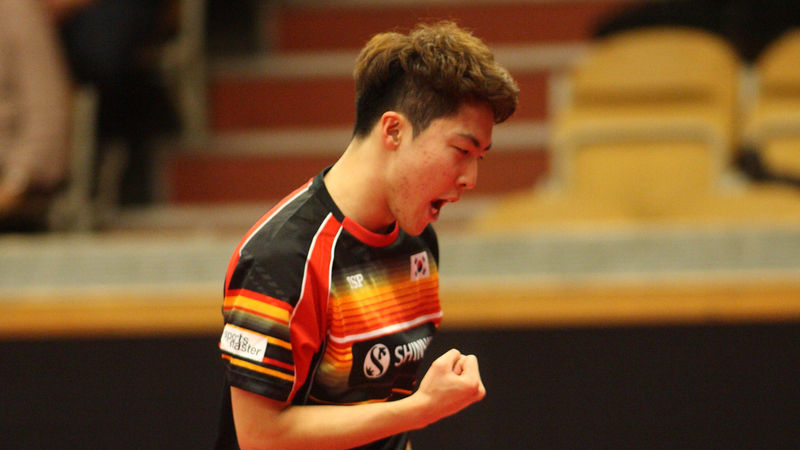 Making the transition from Under 21 level to the senior game, Lim Jonghoon, 21, has shown tremendous progress over this past year in particular and picked up his first Men’s Singles trophy at the 2018 ITTF Challenge Polish Open in March. Reserving his spot in Incheon after a number of strong showings on the 2018 World Tour one of Lim’s brightest displays was in Shenzhen, beating Chinese Taipei’s Chuang Chih-Yuan and fellow Korean Lee Sangsu to progress to the semi-finals having achieved a top four finish one week previous in Hong Kong as well. Lim Jonghoon reached a career high rank of 20th in December 2018 – encouraging news for the Korean ahead of his Grand Finals senior debut.